EOC 101 - Advocates for Christ is the equipping necessary to become the leader that God is designing you to be. Two (2) books must be done in Interest Group format. Purple Book must be done first along with any other book of your choice. We encourage you to take all the books in Interest Group format, but understand that schedules may conflict. If you choose to go the Non-Interest Group route, you will have to answer 4 questions for each book as an additional part of your reading. This book helps build leadership foundations through practical truths building you up to be the leader with heveanly authority God has called you to be. 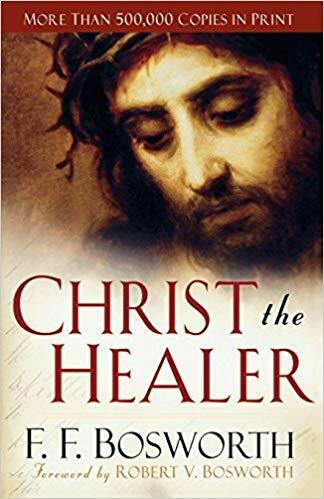 This book will teach you how to unlock your faith in God with His miraculous power being released through physical healing. Have you every wondered how to lead someone to Christ in your everyday environments? Contagious Christian will teach you to become excited to see your everyday life as from the eyes of Jesus, and how to become a fisher of men as the Bible would have us be. A house in order begins with freedom from natural limitations. This book breaks down practical biblical solutions which will radically change your relationship with finances. Our prayer is that it will help you break free from the slavery of debt through this course and you will learn to move from being the borrower to the blessing of being the lender. Understanding the blood covenant we have with God through Jesus Christ is key to understanding salvation. This book will show you how Jesus is is every book of the Bible, from Genesis to Revelations. It’ll bring you to a deeper understanding of what it truly means to be in covenant with God through the Most High Priest. This book gives a balanced teaching on the gifts or offices of the apostle, prophet and pastor. Some believe these offices or callings of God no longer exist or some have taken it to the extreme in an unbiblical manner. This reading will strengthen your belief and understanding with regard to these three gifts to avoid any intimidation, abuse of power, or misguidance.